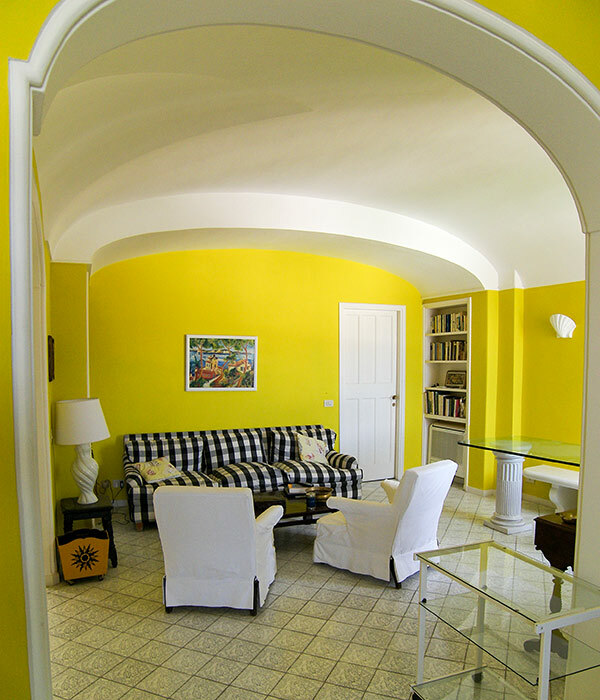 Casa Luisa is a stylish apartment, occupying the second floor of an 18th century palazzo, within steps of the world-famous Piazzetta. 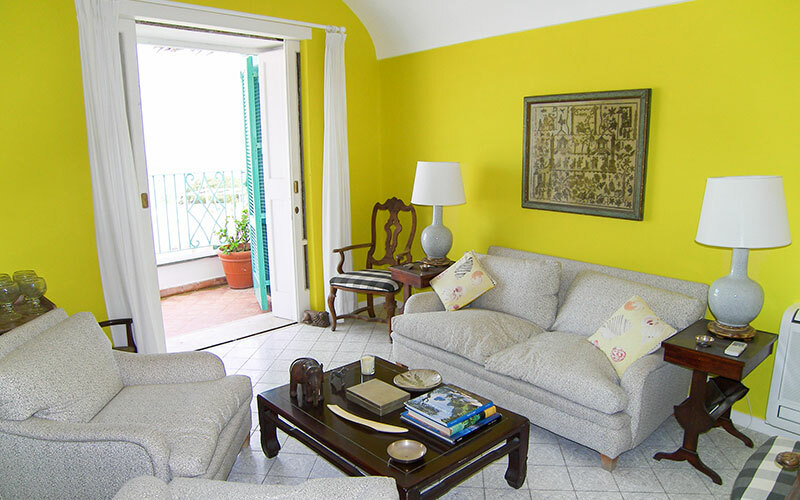 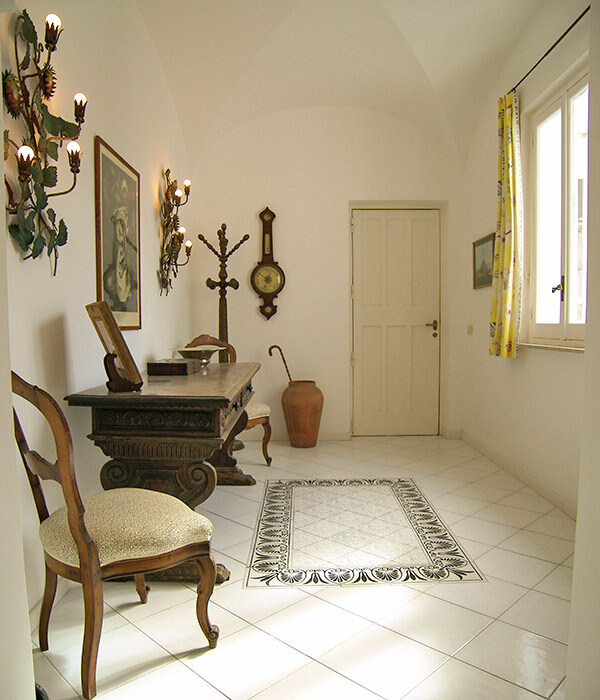 From Casa Luisa's entrance hall, decorated with original items of 18th century antique furniture, guests access the elegantly-furnished living room with stone fireplace and a balcony overlooking the rooftops of Capri and the sea. 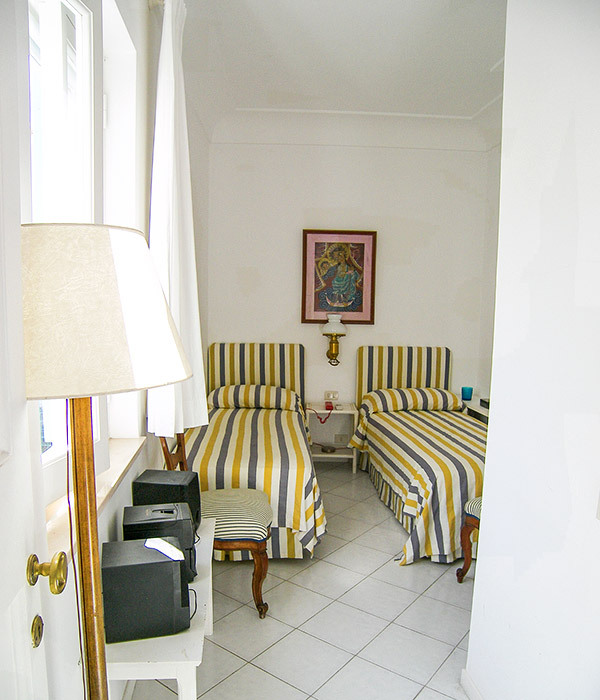 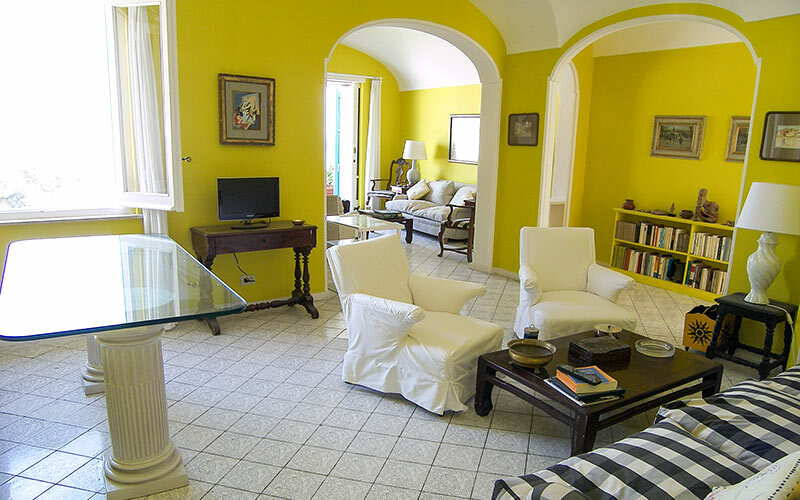 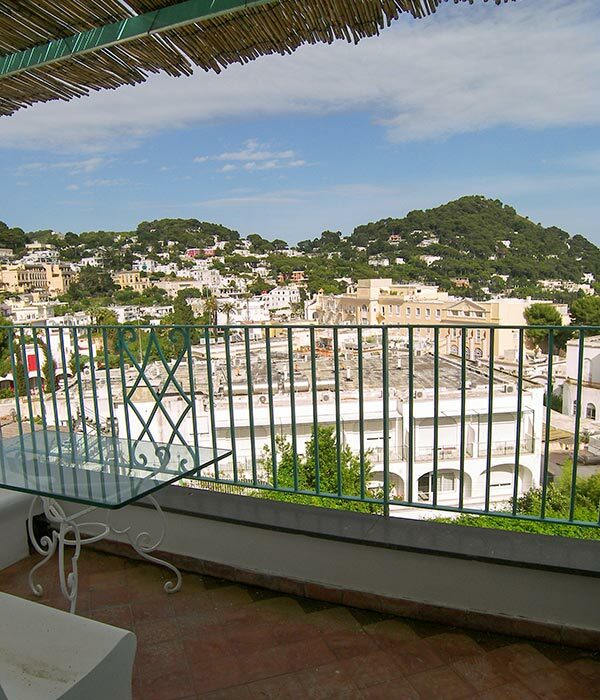 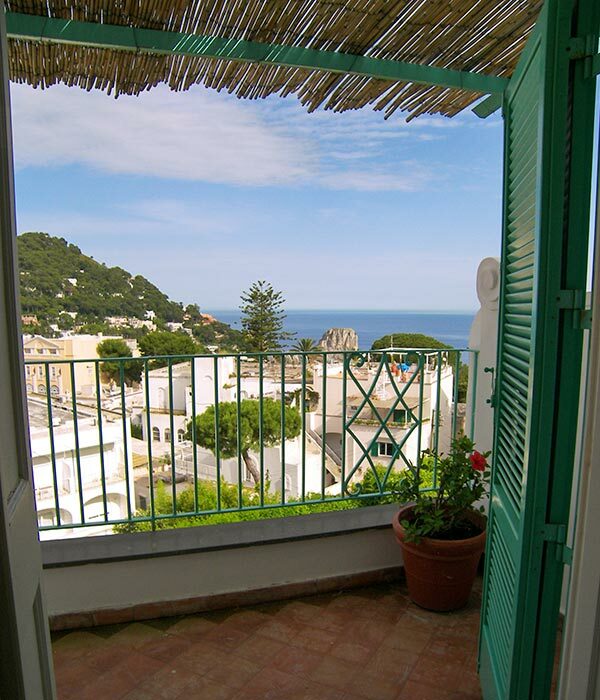 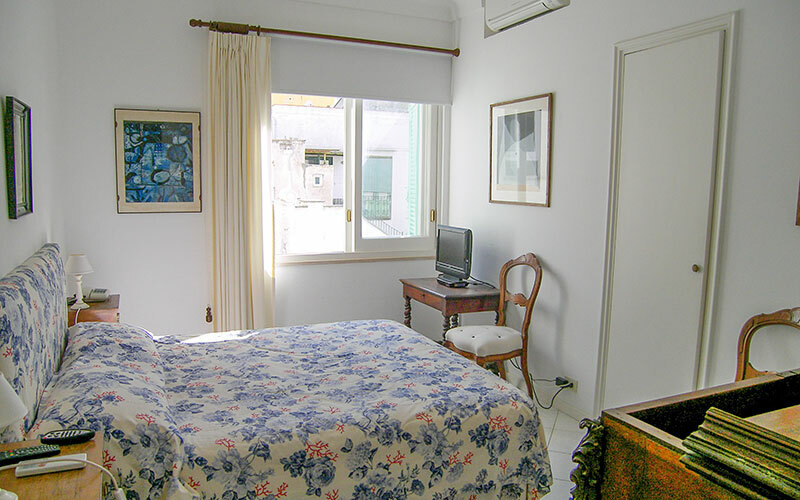 Casa Luisa has one double and one twin bedded room. 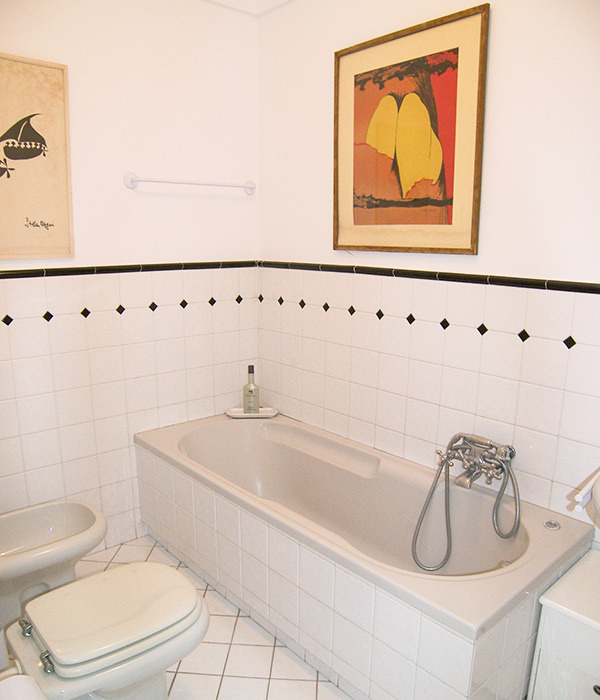 Need room for one more guest? 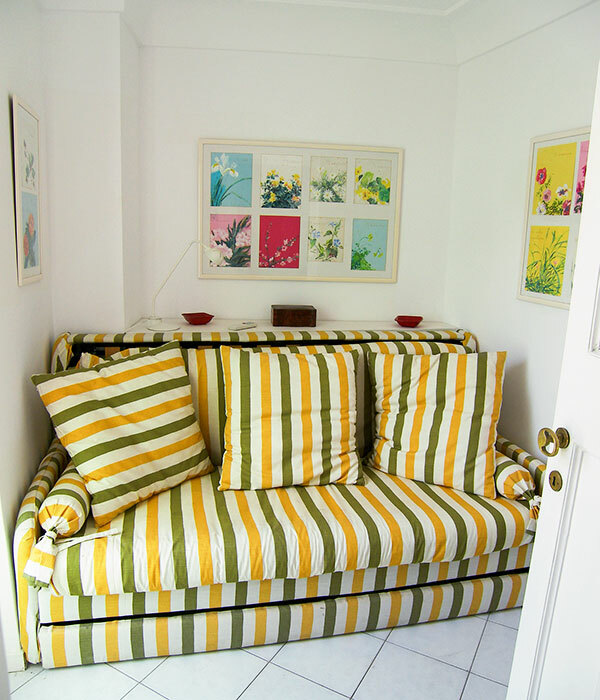 There's a comfortable single sofa bed too. 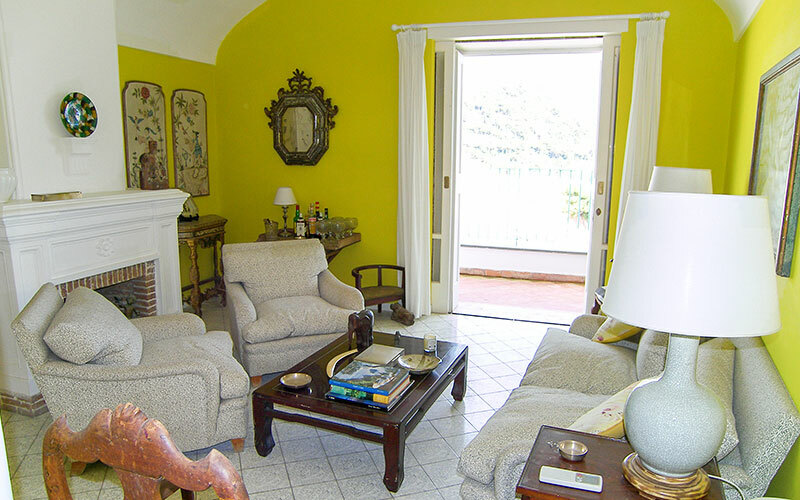 The kitchen is both charming and functional, equipped with everything you might need. 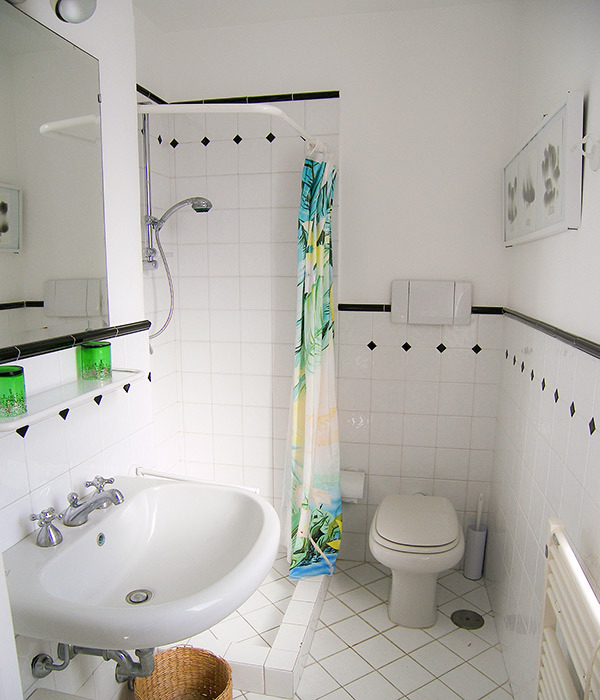 There are two bathrooms, one with bath tub the other with shower, and a small utility room with washing machine and toilet.